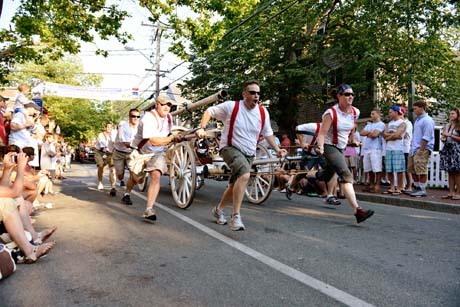 Historic, DIY fire brigade is an annual favorite with parade watchers. 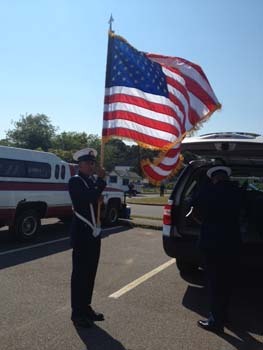 Honor Guard unfurls Old Glory. 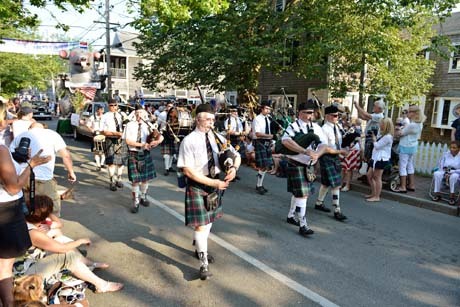 Bagpipe music is perfect for a parade! 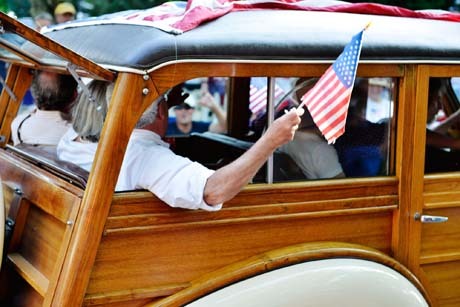 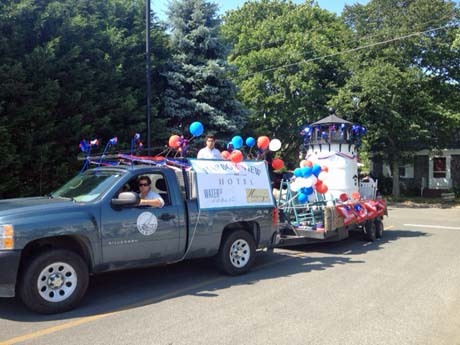 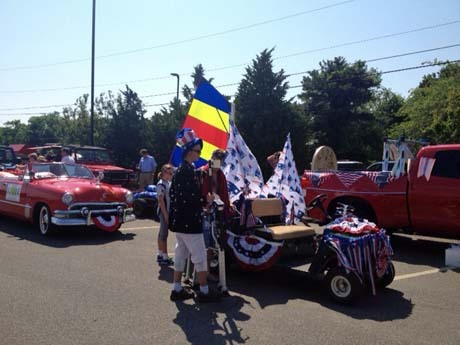 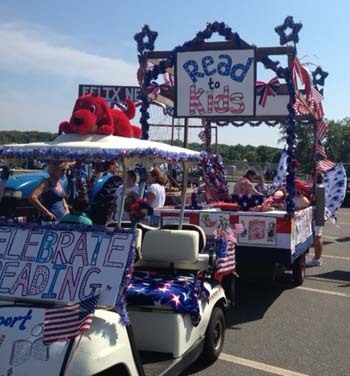 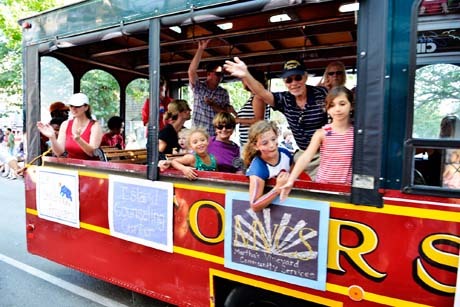 Edgartown trolley does double duty in celebration of July 4th.